Glastonbury Festival tickets have started to appear on auction website eBay despite claims by organisers that re-sales of the passes had been foiled. This year festival founder Michael Eavis introduced a registration system so the photo and details of the ticket holder would be printed on the ticket. But he said the quality of some of the photo tickets had "disappointed" him. However, he insisted each ticket would be closely scrutinised and anyone with the wrong details would not be let in. "They're taking a huge risk buying those tickets," he told the BBC News website. Mr Eavis, who back in April claimed the registration process had been a "success", is adamant people who have bought tickets unofficially will not get in. Ticket prices on eBay currently range from about £155 to £350. One seller is offering to supply ID so it matches the address on the ticket. "The picture is hardly any resemblance to me [sic] and really could be anyone," she said. "All you can see is that I am white and have dark hair. Within the pic my head is about the size of my pinky fingernail," she added. 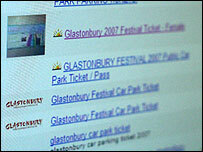 A spokeswoman for eBay said: "Concert and festival tickets are generally allowed to be sold on eBay. "However, we make it clear on our site to both buyers and sellers that some event tickets may have terms printed on them which may limit the ability of the original buyer to sell them to other people. "Anyone buying or selling Glastonbury tickets should be aware that tickets now feature a photograph of the original buyer." 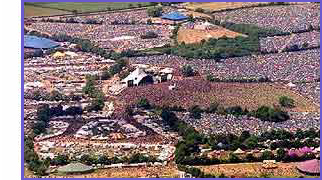 Although a handful of tickets are on eBay, Mr Eavis is determined to continue to stop ticket touts and re-selling. The initial allocation of 137,500 tickets were snapped up just one hour and 45 minutes after going on sale in April. The Arctic Monkeys, The Killers and The Who will headline the event, which runs from 22-24 June. Bottom line is don't take the risk of buying a ticket from Ebay. You'll probably not get in and you'll be stuck trying to get away from Pilton while everyone with legit tickets walks past you. Sir Michael,... 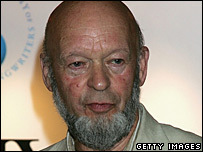 I mean Michael Eavis CBE, will not be happy. BUT, I'm guessing the numbers are tiny compared with previous years?? Not that I can be bothered looking!